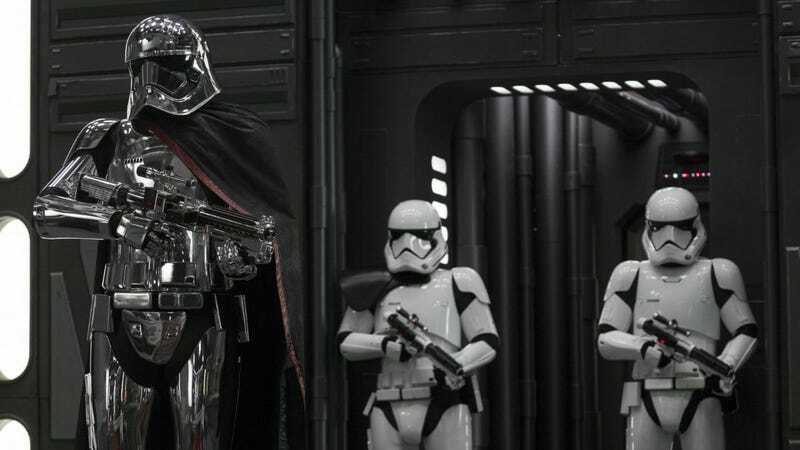 Captain Phasma’s exit in The Force Awakens is one of the movie’s most questionable scenes. If you’ll recall, Finn, Han Solo, and Chewbacca dumped her into one of Starkiller Base’s trash chutes, and then destroyed the planet. It was an ignominious moment for Phasma, and one that Last Jedi director Rian Johnson nearly made much worse. “When I was first writing, I got really excited because I’d written a line where she said ‘I was stuck in that garbage thing for three weeks’ and he gives her a look and says ‘What did you eat?’” Johnson explained to io9. ...but then he had the realization you probably just had. Now Phasma is back, and eager to get revenge on the ex-Stormtrooper who almost made her eat dianoga for dinner for three full weeks. The Last Jedi is out December 15.